‘I love Mondays’…said no one ever! Not even a morning person is likely to say so. And irrespective of whether you’ve had a good weekend or a bad one, Mondays never quite fail to cast a spell of gloom even on the most spirited of us. At the crack of Monday morning, motivation is, all too often, at its absolute low and in dire need of an espresso shot. To be honest, there is not much you can do except to see yourself through the day, with ample cups of coffee to ease the cause. However, we’ve found an effective remedy to brighten up the spirits at the crack of a new week: TED Talks. An inspiring talk of theirs, first thing in the day or in the middle of it, never fails to dust your mind clean of the gloom. And because most of these talks are under 10 minutes, they can be consumed quite easily and without haste while on your commute to work or just before you start your work day. 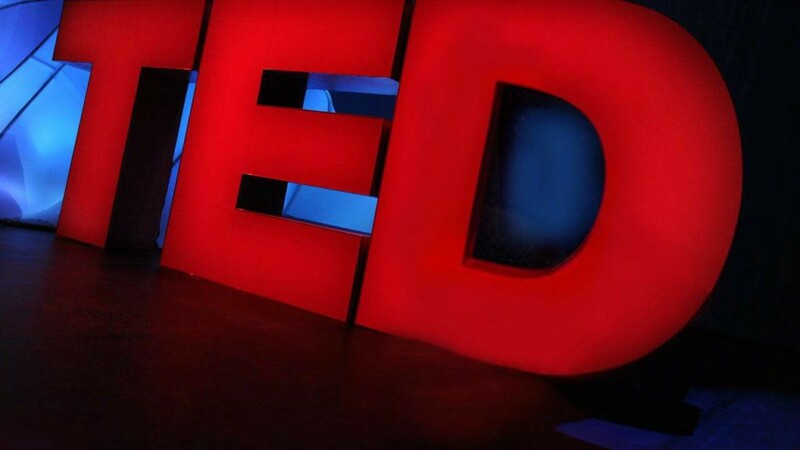 Check out our 7 favorite short TED Talks for next time you find your mornings in need of a pep up. This is the kind of talk that reaffirms your faith in the whole idea of ‘the whole universe coming together to make things happen’. Tom Rives, an American performance artist, shares a fascinating anecdote on how he become obsessed with these cultural references to “things happening at four in the morning — the scapegoat hour of the day”. The talk starts with interesting references to mentions of four in the morning throughout the global cultural space, making you go “wow, that’s quite a lot of coincidences …”. But wait till the end for a magical finish. It’s sure to put a bright smile on your face instantly. Neil Pasricha, author of webby-winning 1000 Happy blog and best-selling book ‘The 3 A’s of Awesome’, shares his philosophy on how to find happiness and contentment at every step of the way, no matter how difficult the situation. His is a lovely, slice-of-life kind of a talk, nostalgic and rich with personal stories, but quite thought-provoking and hope-inducing. Must-watch, especially on those days, when going gets tough and the only thing that can get your spirits up is an honest, happy thought from someone like Neil. For those who are constantly online and working even on the weekends, stress is an all too common a feeling. But to feel so at the start of a fresh week is not likely to do much for your productivity. However, Kelly McGonigal, a health psychologist, in this talk, shares her findings on how we can (and need to) re-calibrate our minds to view stress contrarily, different than our current notion/belief of it is as a life-threatening disease of sorts. Kelly talks about perspective changes, how one can try to see stress as a sign of action-readiness. About how we can view our stress responses as helpful and not harmful. Her suggestions on how we can befriend-stress are simple and worth giving a try. Louie Schwartzberg’s time-lapse photography makes the eyes pop and the soul stir. The photographer, in this TED talk, tells about his encounters with nature. He talks about a time when he chose a life with ample time — free from television and phone, with access only to the US mail — and how he carried around with him an amazing sense of adventure all this while. He has captured, over the years, amazing time-lapse pictures of nature, shared throughout this talk. The narrative, picked from Benedictine monk Brother David Steindl-Rast, that accompanies these pictures is warm, heartful, and sure to calm your senses in a matter of minutes. Celeste Headlee, a prominent media personality, talks about how we can hone our interpersonal skills to handle any of conversation — easy or tough. She makes a striking remark about how making a great conversation is one of 21st century’s most desirable skills and essential, even more so, in this age of hyper-connectivity. So, if you have a big meeting to head to first thing Monday morning, be sure to catch this short 10-minute talk right before you walk into that conference room. We are certain you will have a more productive interaction. Something to help you find your creative center: Where creativity hides? Novelist Amy Tan delves into the creative process and talks about how she discovered her own. Her talk starts a bit all over the place, but over the next few minutes, you hear her sharing many personal stories about how she discovered her creative zones. She talks about how a state of nothing can give rise to something spectacular, and how intent, musings, and life encounters play crucial roles in helping find your creative hot bed. With this talk, try not to rush. Try to sit with it, maybe with a cup of tea. Historian Sarah Lewis, in this TED talk of hers, asks her audiences to consider the merits of the near-wins in our lives. She shares thought-provoking views on success and creativity, about how success itself is a moment, but the real events of celebrations are the ones that mark the little wins, the thing that makes us convert little moments of success into real mastery and eventually excellence. Hers are thoughts that can oil the most difficult pursuits, compelling one to keep at their endeavors, working on it till they reach excellence.